If you need heavy-duty cleaning power for exterior surfaces, nothing beats a top-rated gas pressure washer. 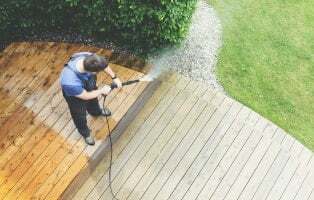 From cars and oil-stained driveways to mildewed decks, patios and walkways, you’ll be amazed at how quickly you can make them look like new with the right power washer. 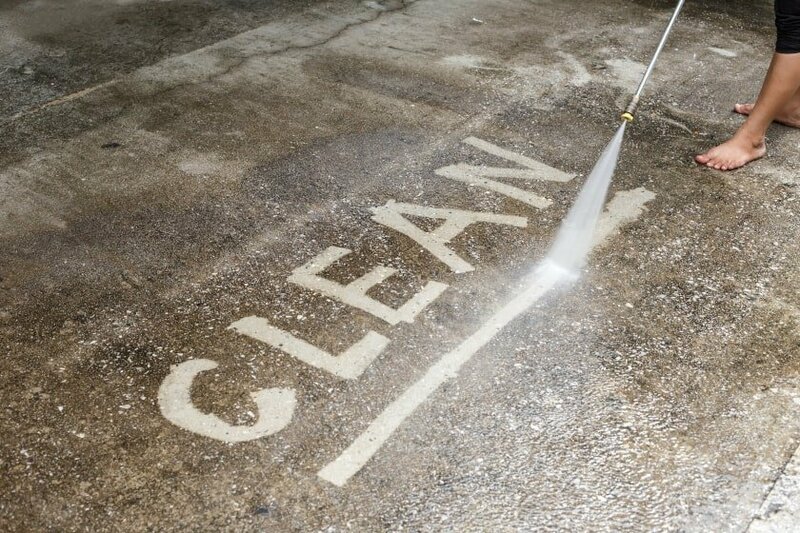 For most light to medium duty jobs, an electric power washer works just fine. But for heavy-duty dirt and grime or for cleaning farm equipment, etc. where you have no access to a power outlet, a gas pressure washer will become your best friend. 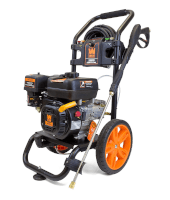 Our gas pressure washer reviews and buying guide will help you find the right machine for your specific cleaning needs. We’ll look at several important tests, including price comparisons, engines, cleaning power, accessories, ease of use, length of hoses and what jobs each machine is best suited for. 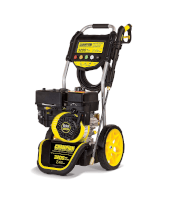 We’ve listed several top-rated gas pressure washers from brands such as Champion®, Ford®, WEN®, Simpson®, and Generac®. Browse the listings and compare to find the machine that’s right for you. 2-year limited warranty, 224 cc engine, 2.4 GPM, 3200 PSI, 25-foot hose, steel frame, two detergent tanks, never-go-flat 12” wheels. 2 year warranty, 3100 PSI, 2.5 GPM, 208cc OHV engine, 30-foot hose, 42-inch spray wand, 5 nozzles, 32 oz. detergent tank. 3-year limited warranty, 3300 PSI, 2.5 GPM, Honda GX200 OHV commercial series engine, 25-foot hose, 10-inch pneumatic tires, 5 nozzles. 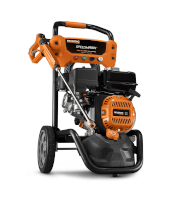 3 year limited warranty, 3200 PSI, 2.7 GPM, Generac 196cc OHV engine, 30-foot hose, 3 extra cleaning attachments, 4 pressure settings. On/off switch & heat warnings hard to see on the machine, can shut off while rolling, instruction manual not very clear. Not CARB-compliant, manual choke, gas cap hard to remove, can leak in various spots, engine may vibrate a lot. Expensive, loud, low profile hard to move around, doesn’t come with enough engine oil, quality control issues with packaging and shipping. Vibrates a lot, may have loose wheels or nuts, owner’s manual unclear on oil level, oil drain plug inaccessible, flimsy plastic parts. This 68 lb. workhorse comes with a 224 cc Champion engine which produces 2.4 GPM and up to 3200 PSI. The 25-foot hose offers plenty of reach. This unit features a comfort-grip cleaning wand and an axial cam pump for a consistent clean, time after time. It comes with 5 quick connect nozzles (0, 15, 25, 40 degrees & soap) and 2 detergent tanks. Onboard storage keeps the hose, wand and nozzles in one spot for convenient access. A durable steel frame makes this machine super sturdy. The single-cylinder engine holds 0.9 gallons of fuel and includes a low-oil shutoff sensor. It holds 0.6 quarts of oil (10W-30). With two ½ gallon detergent tanks, a 4-foot detergent hose, and 5 nozzles, this machine is built for a wide array of jobs. Never-go-flat 12-inch wheels make it easy to maneuver. Champion offers a 2 year limited warranty and FREE lifetime tech support for this model. There’s a small red switch that turns the engine “on” but it’s not very obvious. Also, there’s a heat shield over the exhaust that can get very hot. The little warning symbol engraved in it is hard to see, so be careful not to touch that area while working. When you tip the machine as you’re rolling it, sometimes it can shut off. The instruction manual is also not very clear with how to set up the hose, etc. Most customers say this machine isn’t any louder than a push mower, but ear protection is still a good idea. Many say it ran for a lot longer than they expected. 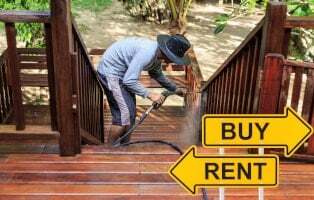 People have had good results cleaning concrete driveways, cars, vinyl siding, decks with mold stains, picket fences and were even able to remove gum from concrete. Most issues seem to be quality control related, with a few units arriving damaged or breaking after a few uses. This model weighs in at 67 pounds with 3100 PSI at 2.5 GPM. It’s powered by a 208cc OHV air-cooled 4-stroke engine and an axial cam pump. The 30-foot hose and 42-inch spray wand offer plenty of room for reaching out of the way spots. It comes with 5 quick-change nozzles and a 32 oz. on-board detergent tank. WEN offers a 2 year warranty on this machine. First of all, this is a good pressure washer for a good price. Five soap nozzles are included with this model (0, 15, 25, 40 degree & soap). The instruction manual is easy to follow and initial setup is simple. It runs quieter than many other gas power washers. WEN customer service seems to be more responsive and helpful than other companies. They respond quickly and offer to send replacement parts for just about anything. The engine is not CARB-compliant, so if you’re worried about emissions, that’s something to think about, but it also means it can’t be sold in California. If you’re from CA, you’ll have to keep shopping. It also has a manual choke, not automatic. So you must set the choke before you start the engine. Also the gas cap may be hard to remove and might break if you force it off. Customers were impressed with the big wheels and that they could maneuver over terrain so well. They’ve used it successfully to clean long fences (up to 200 ft), decks (including Trex), driveways, pavers, vinyl siding, chairs and more. There don’t appear to be as many quality control issues with this model. Some customers did report on oil and water leaks, as well as too much engine vibration. This is a hefty machine at 83 pounds, but comes with a lot of power – 3300 PSI at 2.5 GPM. 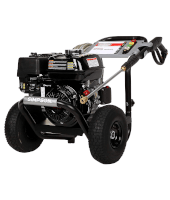 It’s powered with a Honda GX200 OHV commercial series engine and comes with a 25-foot MorFlex hose, 5 nozzles (0, 15, 25, 40 degree & soap), and 10-inch pneumatic tires. There’s a 3-year limited commercial warranty for the engine, a 5-year limited commercial warranty for the pump and the frame has a 10-year limited warranty. The AAA industrial triplex plunger pump is equipped with PowerBoost technology for higher pressure at the nozzle for better performance. The 16-inch steel ergonomic spray wand has a trigger lock to keep it off while you’re not cleaning. Four-ply rubber pneumatic tires help it roll across rough terrain and help to absorb vibration when the unit’s running. Along with changing the tips, pressure can be controlled with throttle adjustments so you can clean delicate items like lawn chairs. This model isn’t cheap, so if you have a tight budget, watch for a sale. It’s also loud, so make sure you wear hearing protection. The machine can be hard to move around (handle is set too low), so if you’re using it in a commercial setting, you may want to look for an easier-to-maneuver model. It comes with engine oil, but only 473ml instead of the 600ml it needs. While the warranties offered are longer than many other models, Simpson can be difficult to deal with if trying to get an exchange or refund or to replace parts. Most complaints revolved around quality control issues with packaging/shipping (parts missing, dented, cracked, etc). This lightweight model is only 65 pounds but runs at an impressive 3200 PSI at 2.5 GPM. It’s powered with a Honda GC190 engine and an axial cam pump. This 62-pound lightweight from Generac rolls on 10-inch never-go-flat wheels and cleans with 3200 PSI at 2.7 GPM. It’s powered with a Generac 196cc OHV engine. It includes a 30-foot hose and 4 quick-change nozzles (0, 25, 40 degrees & soap). Additional attachments include a turbo nozzle, soap blaster, and power broom. The ergonomic cleaning wand has a pressure adjustment with 4 settings. Generac offers a 2 year limited warranty for the whole machine (3 years for the engine only). What do you need to clean? Choose from power dial settings for car, wood, concrete, and soap to adjust to the pressure you need. The power broom attachment makes quick work out of cleaning decks and other large surfaces, while the turbo nozzle removes grime 30% faster than standard nozzles. A large fuel tank keeps this model running for hours. It’s lightweight enough to move easily, while the inverted throttle handle prevents hand fatigue. The plastic parts can feel flimsy. Detergent suction hose is too close to the engine and may get too hot. Vibration can be an issue, as can loose wheels and nuts. Be sure to check and tighten any loose nuts before using this model. The owner’s manual is unclear as to how much oil to put in the engine. Plus, the oil drain plug is pretty hard to reach, so be careful not to overfill. Customers love the included attachments and the adjustment dial on the wand for customizing their cleaning jobs. 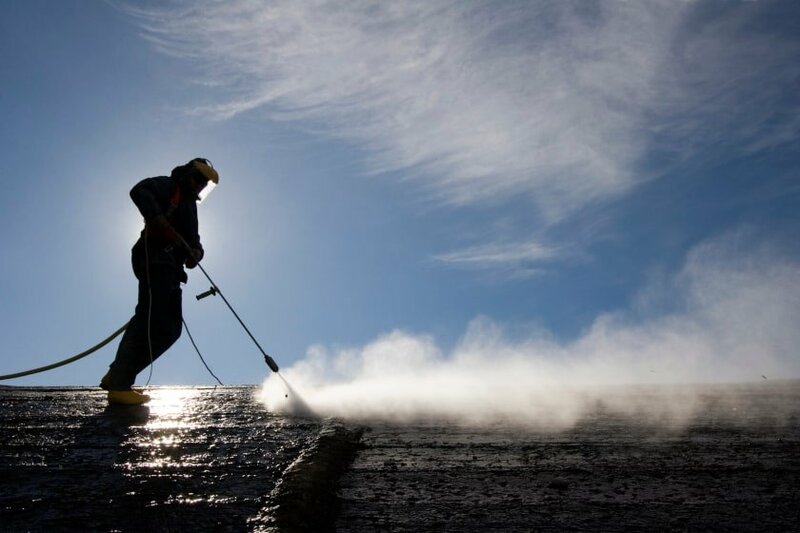 They were able to blast away grime on foundations, brick walls, siding, gutters, cars, sidewalks, decks, boats, boardwalks and more. Generac has responsive customer service if you have any issues. However, they often recommend taking the unit to a authorized service center that may not be local and and may have long wait times. Yes, gas-powered pressure washers are more expensive than electric. But for power, durability, and heavy-duty usage, they can’t be beat. Prices are better nowadays than they used to be, however. You can get a strong residential gas power washer for the price of a medium-duty electric washer easily. 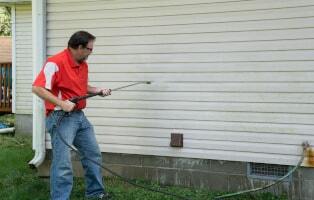 You’ll notice that gas pressure washers are also a lot heavier than electric. But that’s due to the added weight of the engines, which weigh at least 25 pounds on most models. They’re also bigger so they can support the engine and gas tank. The bigger the CU score, the more powerful the machine. But you don’t always need the most powerful machine. Yes, the Tim Allen types are all grunting right about now, but it’s true. If you’re tall – look for washers with fold-down handles that will extend far enough so you don’t have to bend over every time you move the machine. Folding handles also make for easy storage. If you have back trouble – look for a lightweight machine. 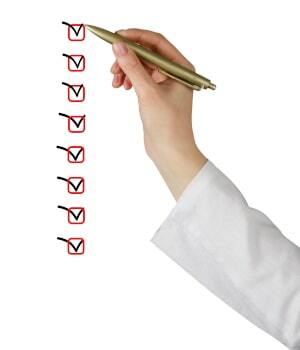 Remember that adding gas, water, and oil will increase the listed weight. If you have many kinds of surfaces to clean – look for machines with several different nozzles, adjustable pressure, and attachments included. Most gas pressure washers will come with a 2-year limited warranty. This is usually just for the engine. Other parts like the pump and accessories can have widely-varying warranties, from 1 year to just 90 days. And the “limited” part means they guarantee the machine is “free from manufacturer’s defects in material and workmanship.” This basically leaves it in the hands of the service rep to decide whether the defect is the manufacturer’s fault or yours. Some companies are surprisingly generous in handling these issues. WEN is one of those. Other manufacturers like Simpson, for instance, can be hit or miss. Always contact the retailer first if you have any issues. They’ll often accept returns a lot quicker. 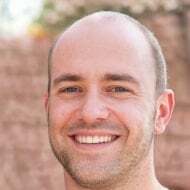 When we researched customer experiences, we gathered up a lot of useful real-world tips for troubleshooting problems that may arise with your pressure washer. You’re investing a good chunk of change on this machine. So take care of it, and it will take care of you. We’re listing some good troubleshooting tips below for your reference. READ THE MANUAL – This should go without saying, but then those Tim Allen types… seriously, just read through the manual over your morning coffee and highlight important info so you know what’s what. Oil leaking during shipping – This seemed to be a common problem with several machines. Oil can leak and soak into air filters which will choke out the engine if you try to start it. Check your air filter upon arrival. If it’s soaked with oil, wash the filter with Purple Power. Let it dry, then replace and see if it will start. Fittings & other connections loose – Check all these before start up. Tighten anything that’s loose but do NOT overtighten or you could crack the housing or strip the bolts. Prime the pump – Air trapped in hoses can damage the pump. Let the water run through it for at least 30 seconds (even a couple minutes) before you start spraying. If you have longer hoses, it can take longer to get primed. Post-op care – When you’re finished (especially after long jobs), don’t just turn off the machine and stick it in the garage. Take some time to do a little maintenance. Take the pump hose off and inject some pump saver to protect the inner workings of the pump. You just attach it on the inlet side and spray the can until it comes out the high-pressure hose side. It will prolong the life of your pump big time. Change that oil – After every 10 to 20 hours of use (more frequently for new machines), change both the engine and pump oil. New machines can have loose metal shavings that will come off in the oil, and you don’t want too many accumulating and running through the engine. Use the right oil – Normal 30W oil sold for automobiles can be bad for pressure washers. You need small, air-cooled engine oil, so make sure you’re using the right thing and not just grabbing whatever you put in your truck. Always use the oil recommended in the manual. Think about extensions – Wand extenders and longer (~50’) hoses are great for reaching those upper stories and gutters. They keep you off ladders and keep you from having to move the machine around so often. If you’re tall, a wand extension can really save your back when working on ground level surfaces. Do you have big hands? – Sometimes it can be hard to fit your hands in to detach the hoses from the machine with everything in tight quarters. Try putting on a quick disconnect adapter so it’s easier to detach. Don’t over tighten anything – We said this in #3, but just don’t. If you overtighten the inlet hose to the washer, for instance, you’ll probably have leaks. Remember, stronger isn’t always better! Finesse the choke – Many machines have manual chokes that need a little finessing before you use the pull-start. After you pull once or twice, move the choke lever a little bit, then pull again. Repeat if necessary. Be mindful of hoses when moving the washer – If they’re long and tend to get in the way, hold both inlet and high-pressure hoses near the washer handle when you’re moving the machine. This will prevent running over hoses or getting them tangled. Make sure your nozzles are securely attached – Many people have popped a nozzle onto their wand, pulled the spray trigger, and wheeeeee – the nozzle flew across the yard, never to be seen again. This is a real challenge if you lose a green tip in your green grass. So be sure the nozzles are firmly on before you start spraying. 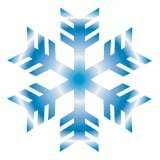 For those of you who have cold winters, you must winterize your gas pressure washer before storing it so you’ll be able to start it again come spring. To do this, follow your owner’s manual instructions. Basically, you’ll be filling the pump and internal tubing system with RV-type antifreeze. If storing for over a month, drain the gas from the fuel tank as well. 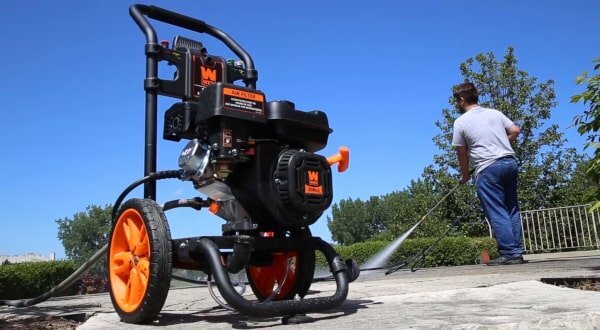 Here’s a handy video to show you how: How to winterize a pressure washer.